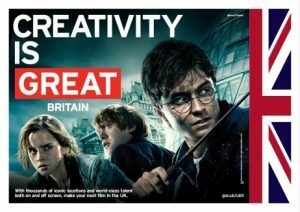 HM Government, Virgin Media, Diageo, LOVE, Williams Murray Hamm and Factorydesign were amongst the 61 client and agency partnerships presented with trophies at the 2016 DBA Design Effectiveness Awards ceremony at London’s Tobacco Dock last week. 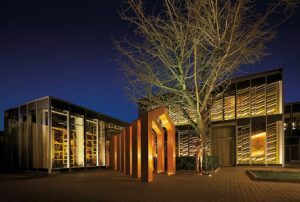 Judged by business leaders and entered jointly by client and designer, the awards are both rigorous and authoritative. Winners illustrate the depth and breadth of impact design can wield on business, government and society and provide the proof that design creates competitive advantage. Here’s a snapshot. 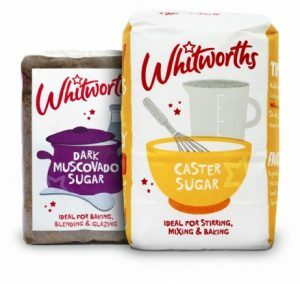 Whitworths saw value sales increase by nearly 500%, in a market that declined by 11% in the same period, following their collaboration with Brandpoint. What’s more 80 new jobs were created. 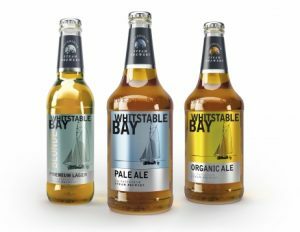 JDO’s redesign of Shepherd Neame’s Whitstable Bay has successfully broken the brand into four new international markets. 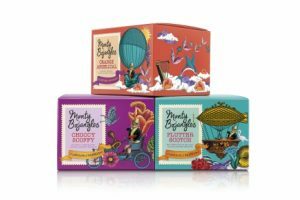 In danger of being de-listed by their largest customer Waitrose, The Monty Bojangles Company commissioned Springetts Brand Design Consultants to redesign their chocolate truffle offer, turning their fortunes around, increasing their distribution and delivering an amazing gross profit increase. 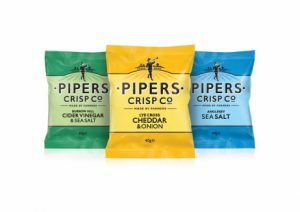 Following BrandOpus’ redesign, Pipers Crisps can now command a price point 5% higher, whilst manufacturing costs have been reduced by 10p per pack. 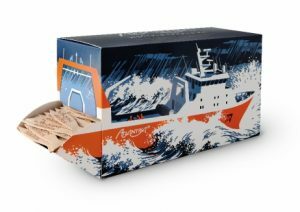 Ocean Trawler’s Atlantika brand created by Carter Wong Design has seen staggering and sustained growth in sales from £60million to £230million in four years. 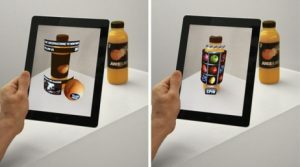 Following Williams Murray Hamm’s redesign, JuiceBurst is the second most Blipped brand in the UK, with over 500,000 consumer interactions. 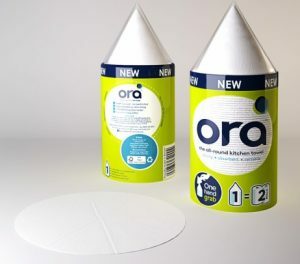 Requiring 30% less lorries to transport and 20% less packaging, Acumen Design Associates and Better All Round’s kitchen towel Ora is much kinder to the environment. 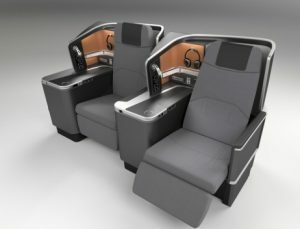 Factorydesign’s Vantage XL Aircraft Seating for Thompson Aero Seating has a 20% production and assembly line efficiency compared to peer products. 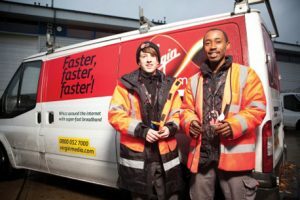 Virgin Media’s ‘Voice of Our Brand’ programme, developed by Engine Service Design, delivered such improved customer experience, positive comments relating to staff behaviour doubled, whilst negative comments halved. Designed by LOVE, the Johnnie Walker House in Shanghai was so successful Diageo was inspired to open 10 further luxury experience spaces and the key metric for brand awareness jumped to 97%. Brand Union’s reinvention of GlaxoSmithKline’s allergy brand Flonase generated almost $100million in sales in its first 16 weeks on shelf. 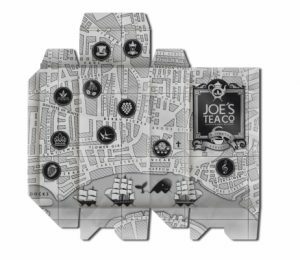 Echo Brand Design’s brand and pack design for Joe’s Tea Company, enabled the business to secure 32 distributors in its first year, including Harvey Nichols. 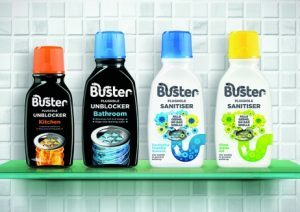 Challs International and Elmwood’s latest evolvement of Buster’s packaging has seen sales grow by over 50%, and the brand has become No.1 in the sector. Radley Yeldar and Her Majesty’s Government’s GREAT Britain Campaign has delivered outstanding results including over £1billion direct return to the UK economy. 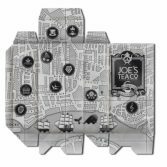 To view all of the Award winners’ case studies and to find out who won Bronze, Silver or Gold awards visit Design Effectiveness Awards website.